Ghost Rider Reading Order - Where to Start With Ghost Rider? You are here: Home / Featured / Ghost Rider Reading Order – Where To Start With Ghost Rider? 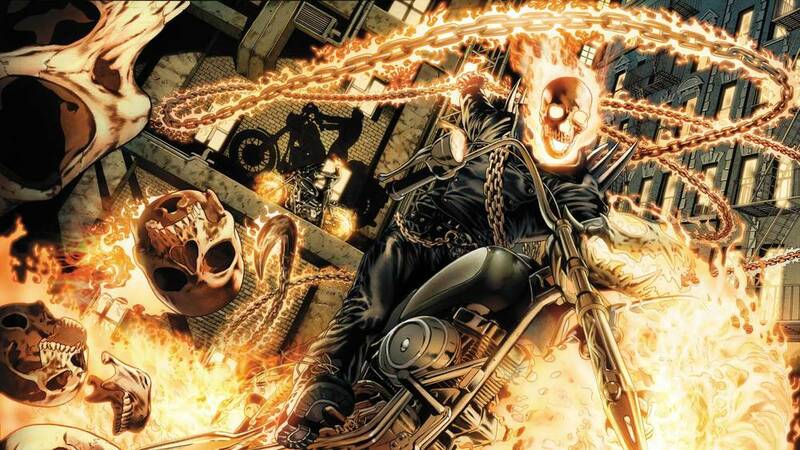 Ghost Rider Reading Order – Where To Start With Ghost Rider? If you had asked me a short time ago who got my vote for most overrated Marvel hero, the answer would have been Ghost Rider, hands down. Two Nicholas Cage movies will do that to a character. Nonetheless, the modern Marvel era has been kinder to Ghost Rider, with strong runs from creative talent like Jason Aaron. 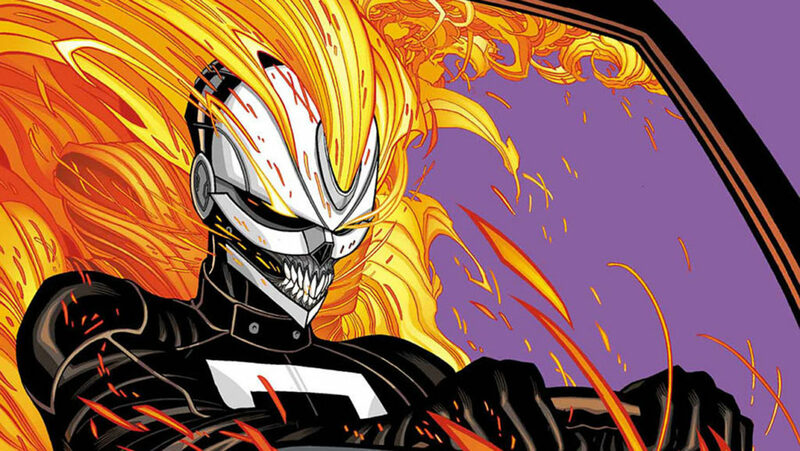 The spirit of vengeance’s inclusion in Agents of SHIELD season four also means Ghost Rider is now a full-fledged member of the Marvel Cinematic Universe. 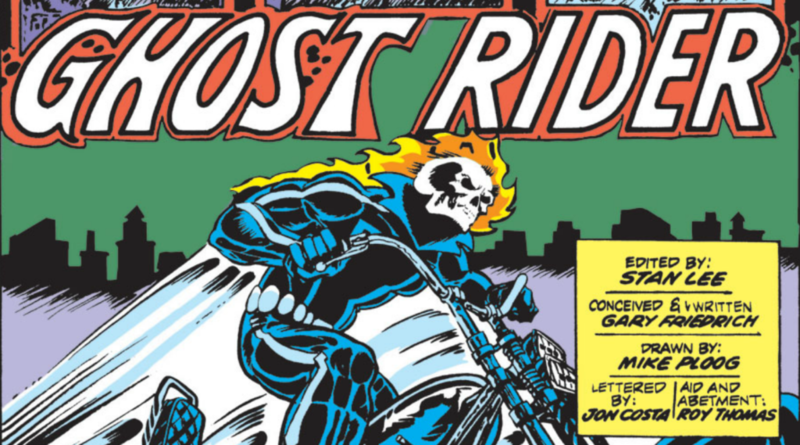 There’s never been a better time to explore Ghost Rider comics for yourself! The once and future oddest Marvel team of all-time (sure later Defenders got weirder, but nobody started weirder) included the Ghost Rider himself. Note here that to date (October 2016), Marvel Unlimited’s 1990s Ghost Rider collection is chalk full of gaps. The service does include Ghost Rider #93, though, which is the final issue in the 90’s Danny Ketch era before Ghost Rider was canceled. If it feels like the story is incomplete, don’t worry, the threads will actually get picked up again during Ghost Rider Finale (2007) #1. Trail of Tears is actually a prequel to the 2005-2006 Ghost Rider series from Ennis and Crain, even though it was published in 2007. Chronologically it takes place prior to “Road to Damnation,” but you could make the case for reading it after as it was published. Garth Ennis and Clayton Crain with a six issue Ghost Rider miniseries. This is the Ghost Rider (2005 to 2006) portion of your Marvel Unlimited textbooks. Ghost Rider relaunches again in 2006 with a run by Daniel Way. Collects: The above collections will take you through Ghost Rider #1 to #20. Following the Way run, Jason Aaron and Roland Boschi launch a new direction for Ghost Rider, heavily influenced by the madcap spiritual vengeance of Garth Ennis and Steve Dillon’s Preacher . The 5 issue miniseries from Simon Spurrior and Javier Saltares actually goes a long way to explain what’s up with Danny Ketch in the Aaron run. Note that this collection includes Ghost Rider Finale (2007) #1, which is basically the long-delayed follow-up to Ghost Rider #93 from 1998. For reasons I can’t fathom, the Aaron run jumps to the Heaven’s on Fire 6 issue miniseries after Ghost Rider #35. This is the conclusion to Jason Aaron’s time on Ghost Rider! We are now officially in the Ghost Rider (2011-2012) portion of Ghost Rider series. The Rob Williams era is actually very important to understanding future Ghost Rider appearances in books like Venom. It’s worth noting that the first four issues of the series are instantly tied int to Marvel’s Fear Itself event. The Circle of Four mini-event occurs smack in the middle of Rick Remender’s run on Venom, which I would highly recommend in its entirety. You’ll also want a passing familiarity with the Red Hulk and X-23 . The Charles Soule run on Marvel NOW! Thunderbolts is increasingly underrated as time goes on, and this volume is the first where Johnny Blaze joins the dysfunctional bunch of violent anti-heroes. It should go without saying that this stretch of comics will make more sense with the first 19 issues in your back pocket, although you absolutely could dive in here and do a little continuity hopscotch. Out with the old, in with the new. All-New All-Different Ghost Rider marks the introduction of Robbie Reyes, from creative team Felipe Smith and Tradd Moore. Robbie and the Ghost Racers got their own Secret Wars tie-in. Note that this is out of standard continuity and won’t make as much sense if you’re not following Secret Wars.